Minister of State for Parliamentary Affairs Sheikh Aftab Ahmed told the National Assembly on Thursday during the question hour that there is a proposal to construct Chirah Dam in Islamabad. The National Assembly resumed session with Speaker Sardar Ayaz Sadiq in the chair. 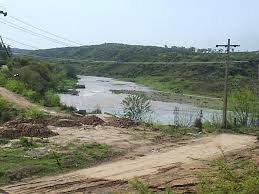 The minister said that the dam is to be constructed on Soan River in Islamabad capital territory jurisdiction near Chirah village, 25 kilometres northeast of Rawalpindi. The minister said the work will be taken in hand by the government of Punjab after clearance from the consultants M/s NESPAK. He pointed out that its cost will be equally shared by the government of Punjab and Capital Development Authority (CDA). He said CDA has already released over Rs 851 million for this purpose.